Heat Maps: Illustration of how the Heat Map feature looks on camera footage of a fruit market/supermarket. “A heat map is a graphical representation of data where the individual values contained in a matrix are represented as colours.” That is the definition, but what can it do for you? 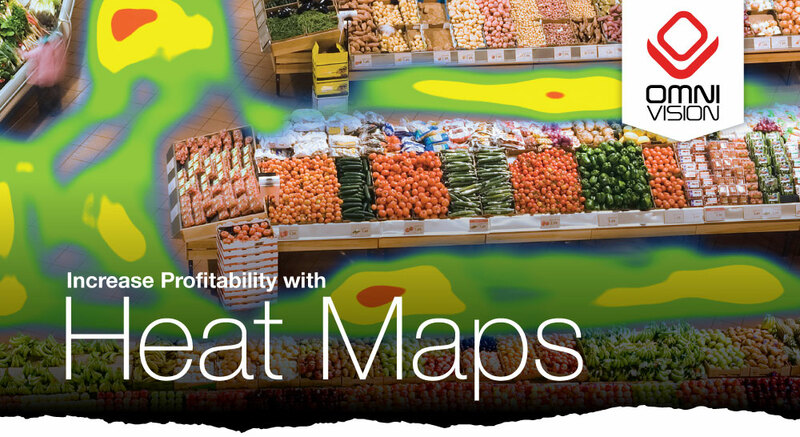 Heat Maps enable you to quickly identify hot spots in your stores, dead areas and bottlenecks. The clear view of customer traffic helps you optimise store performance, improve customer service and improve marketing and promotions. You can quickly see the impact of any changes in terms of customer flow, sold items, average sales value and more. Some video management platforms (VMS) have some of video analytics features such as heat maps available by default. If not, they can be plugged in with little configuration. If you want to discover what you can achieve additionally with your existing CCTV system you know we are only one call away.